Washington DC is always a great place to visit and 2018 is going to be an especially prime time to plan a trip to the nation's capital. With several new attractions and many special events will entertain and educate the whole family. As you make your plans, pay attention to the opening dates as they are subject to change. The Smithsonian opened its National Museum of African American History and Culture in Washington DC in late 2016. The museum is the only one in the nation that is devoted exclusively to the documentation of African American life, art, history and culture. It will feature a variety of exhibits and educational programs on topics such as slavery, post-Civil War reconstruction, the Harlem Renaissance, and the civil rights movement. Historic artifacts on display will include items that belonged to some of America's most famous historic figures including Harriet Tubman, Rosa Park, Marian Anderson, Louis Armstrong, Michael Jackson and more. Read more about the African American History Museum. MGM National Harbor, a billion dollar Las Vegas style casino, opens in December 2017 in National Harbor, the waterfront development located on the Potomac River near Washington DC. The 24-story, 308-room resort will feature a casino with over 125,000 square feet of space that includes slots, table games and poker; a world-class spa and salon; an entertainment theater with flexible seating for up to 3,000; high-end retail; 27,000 square feet of meeting space; and restaurants from renowned local, national and international chefs. Read more about the MGM Casino at National Harbor. The Presidential Inauguration with all its festivities will take place on January 20, 2017. There are plenty of events open to the public and this year is sure to be an unforgettable experience. A week of festivities will include the Swearing-in Ceremony, Inaugural Address, Inaugural Parade and Inaugural Balls and Galas. To get an idea of what to expect, see a guide to the 2017 Presidential Inauguration: Events in Washington DC. A Women’s March will be held on January 21, 2017 in response to the election of Donald Trump and to highlight women’s issues. Read more about the Women's March on Washington. The first phase of the Wharf, a $2 billion mixed-use waterfront development, is slated to open in Washington DC in late 2017. The project is one of the region’s largest redevelopment projects and will transform the the nation's capital. The Southwest Waterfront will become an urban destination with restaurants, entertainment, housing and shopping all within a short walk from the National Mall and the city's historic attractions. Read more about the Wharf. The Museum of the Bible, a 430,000-square-foot, eight-story privately financed cultural institution will open in late 2017. The museum, by Steve and Jackie Green, owners of the arts and crafts store chain Hobby Lobby, will house their private collection of more than 40,000 rare biblical texts and artifacts. State- of- the- art exhibits will invite people of all ages and faiths to engage with the Bible via a scholarly and engaging presentation. Read more about the Museum of the Bible. There's always a wide range of events, performing arts and international festivals taking place in Washington DC. With the embassies from around the world headquartered here, DC is a great place to enjoy cultural events and to learn about the arts, music, food and traditions of other countries. Popular annual festivals range from Chinese New Year's Events to the National Cherry Blossom Festival to Passport DC to the Smithsonian Folklife Festival.To learn more about upcoming events, see our Monthly Event Calendars. 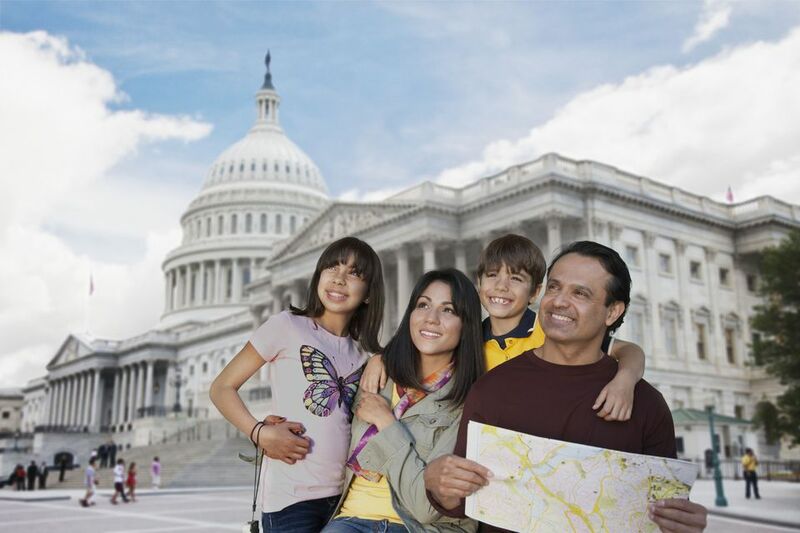 With dozens of free museums, memorials, historic sites, and events, Washington DC is always a great place to visit. The most popular attractions are all free: the Smithsonian museums, The National Gallery of Art, national memorials, the U.S. Capitol Building, the White House and the U.S. Supreme Court. For more sightseeing ideas, see 25 Free Things to Do in Washington DC. The Capitol Dome underwent a multi-year project to repair deficiencies and restore the roof of the Capitol to its original, inspiring splendor. Since 2014, visitors have not been able to get an upclose view of the interior during guided tours of the U.S. Capitol. Exterior photos of the iconic building have shown scaffolding and have not been too appealing. The renovation has restored the symbol of freedom for generations to come. The project will be complete and all scaffolding will be removed prior to the 2017 Presidential Inauguration. The Trump International Hotel opened in Washington DC in 2016! The luxury hotel includes more than 270 rooms, several world-class restaurants, an expansive spa, ballroom and meeting facilities, a library, a museum, and indoor and outdoor gardens. The iconic Old Post Office Pavilion was transformed into a prime place to stay with its close proximity to the National Mall and all of the city's top attractions. The Old Post Office’s clock tower, which offers panoramic views of Washington DC, is open to the public and a great place to visit. Read more about the Trump International Hotel.